Do you want your search for used Chevy trucks in Wisconsin to start with a trusted Chevrolet dealership in Oconomowoc? At times, it can be risky to go through private sellers when you’re looking for Chevy trucks for sale near you. It can be challenging to determine whether someone is upfront with you about the dependability of used lifted Chevy trucks. For this reason, those who want to ensure they end up with reliable used trucks for sale in Oconomowoc, WI are best off using a trusted dealer. If you want a dealer that has left behind thousands of satisfied customers over the course of 50 years, then Ewald Chevy may be the right place for you. As soon as you make your way to our Chevrolet dealership in Oconomowoc, you’ll notice a large inventory of reliable vehicles. Having access to so many trucks for sale in Oconomowoc, WI in one place means saving time when you make us your first and last stop. We also work to ensure that you don't encounter unwanted surprises when shopping for used Chevy trucks in Wisconsin by having them inspected. Each specialist we have checking these vehicles has been trained by Chevrolet themselves. This ensures that our specialists know these vehicles inside and out, which also means you end up with dependable Chevy trucks for sale near you. Our Wisconsin Chevrolet dealers also understand how critical it can be to learn about a vehicle’s service records before getting behind the wheel. For this reason, we provide a free history report with any of our used trucks for sale in Oconomowoc, WI. A history report will apprise you of any past accidents too, allowing you to be offered full transparency at our Chevrolet dealership in Oconomowoc. In addition to reliability, our associates also work tirelessly to provide some of the most competitive pricing in the area. We manage to keep our rates so reasonable by live-market pricing all our used Chevy trucks in Wisconsin. How this is works is by checking thousands of dealers to see how our prices compare to theirs. This ensures that our vehicles are all at or below market value, giving you both a nationally and locally competitive offer. As a result of live-market pricing, we even have plenty of used cars for sale for under $10,000 available at our Wisconsin Chevrolet dealers! 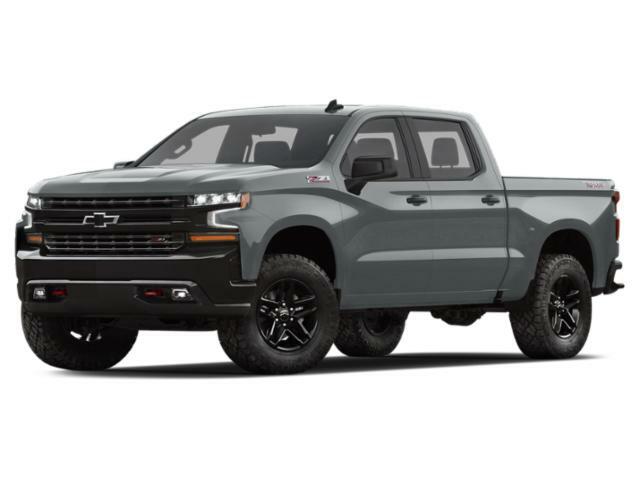 Although we have cheap and used lifted trucks at our Chevrolet dealership in Oconomowoc, you may have your eye on the new Chevy Silverado 1500. As the most recent in a long line of performance-driven vehicles, these new models are no exception. With the new Chevy Silverado series offering much more efficiency, power, and features than ever before, now would be an excellent time to take advantage of lease and finance deals. Whether hauling for recreation or for work, this workhorse of a vehicle is able to tow up to 9,900 lbs with the appropriate package. The improvement in max towing and efficiency is in part thanks to the lighter frame and new fuel management system. At times, it can be easy to forget you’re in such a rugged vehicle due to the refined and luxurious interior offered in these new Chevy trucks. However, you may be finding yourself torn between the modern features of a new Chevy Silverado and the affordability of used Chevy trucks in Wisconsin. If this is the case, our Wisconsin Chevrolet dealers offer a fantastic middle ground between the two. You may be wondering what it is that sets certified used cars apart from standard ones. It all starts with us selecting used Chevy trucks in Wisconsin that are in excellent condition and have very low mileage. In addition, these pickups can’t be older than a certain number of years; otherwise, they won’t be accepted. As a result, only modern cars in near-mint condition are chosen to be reconditioned by the manufacturer. This restoration process includes both the interior and exterior of the vehicle, giving it a like-new appearance. Once all the wear and tear is dealt with, certified used Chevy trucks in Wisconsin are then given an extensive 150-point inspection. Unlike a standard powertrain inspection, this ensures that all the electronics and other components are also checked. The end result of all this is a used vehicle that looks brand new but at only a fraction of the cost. In addition, certified used cars also come with roadside assistance and even warranties! This ensures that your investment will be protected regardless of how unpredictable the road can be. Regardless of the reason for your visit, let our Chevrolet dealership in Oconomowoc make shopping a breeze. With our selection, helpful staff, and competitive pricing, you’ll be able to avoid the frustrations that can come along with finding a reliable vehicle. With Ewald as your Wisconsin Chevrolet dealers, a successful shopping experience can be assured! You can find our dealership located at 36833 E Wisconsin Ave., Oconomowoc, WI 53066.